I took time off from my schedule to photograph this treeswift Hemiprocne comata because a friend had a picture of it and I thought it was a really handsome bird. Its beautiful white facial whiskers stood out conspicuously from its dark blue head plumage. Usually in pairs, they behave more like flycatchers than true swifts. They make short flights at nearby insects before returning to their perch. 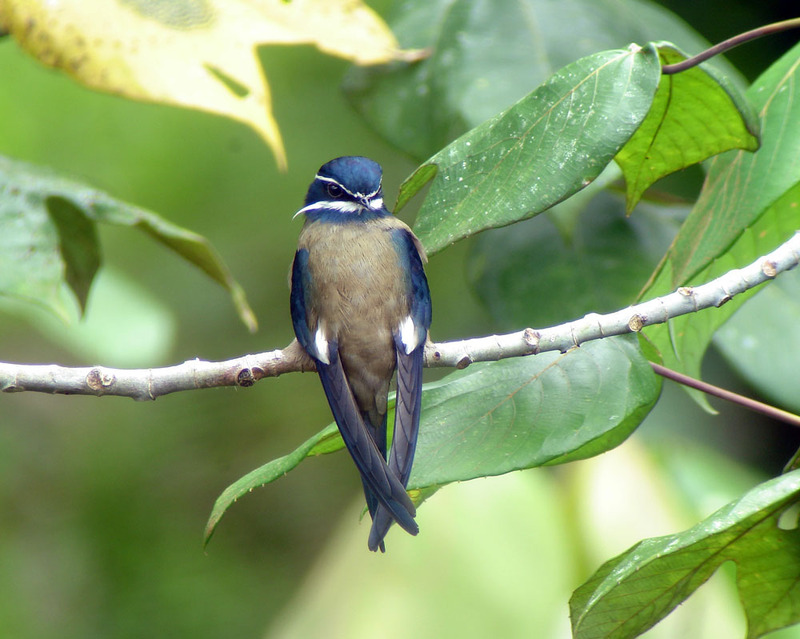 Look out for them when you are birding in lowland forest in the Sunda region. Nice and sharp hahaha where did you take this ? Beautiful!! I’ve never seen other variants of swifts apart from the brown and black ones we get in the city.. Great photo!